During the month of February, I set several health goals. I completed a Whole30, a 21-Day Sugar Detox, some fitness challenges, and one more… a sleep challenge. The sleep challenge was not the most exciting for me. I’ve seen amazing results from food challenges before, so those were the ones I was most excited to complete. As you may have read in previous posts, my husband and I are night-owls. We enjoy staying up late and sleeping late. However, because we both have jobs that do not allow daily sleep-fests, we often stay up late, and then wake up early. During the month of February, we were very careful to go to bed early each night. Our goal was to be asleep by 10:00 every night. Since we typically set our alarms for around 7 AM, this allowed 9 hours of sleep. I was afraid that going to bed early would be a real pain. But after the first week, we really started to enjoy going on to sleep a little earlier than usual. And be best part was that we felt SO good each day. We had plenty of energy (even immediately upon waking up), and we felt good throughout the day. We were not as careful about our sleeping habits once February ended. We have had numerous social events and family gatherings to attend this month, and we have not been as careful to leave early and go on to bed. Even during our nights at home, we haven’t been as careful to go ahead and get ready for bed at 9:00 so that we can be asleep by 10. Have we seen a difference in how we feel since being less strict with our sleep? Absolutely. 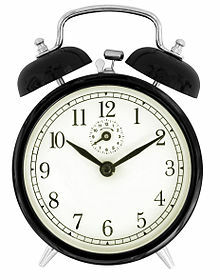 We have definitely been waking up tired, and experiencing an afternoon “slump” each day after getting too little sleep. It is very frustrating, and I find myself CRAVING the good feelings that come from being well-rested. Today I did a “Robb Wolf podcast marathon” as I was working and cleaning the house, and I was amazed by how many times he recommended that people get their sleep habits dialed in. It seems that sleep is the key best achieving every health and fitness goal! So yeah, sleep has the potential to improve everything! Some of us Paleo-people get pretty wound up in what we’re eating (is it grass-fed? is it soy-free? is it made from whole ingredients? ), but we completely neglect our sleep. If that statement describes you, then you are not getting the best possible results from your “healthy” lifestyle. Whether you are hoping to lose weight, looking for better health, or desiring increased performance, you better make sure that you are not skipping out on one of the keys to achieving all of these things. Challenge yourself to go to bed earlier, and measure your own results! On that note… it’s 9:00 PM. I’m going to bed! Couldn’t agree more. After reading Rob’s book my views on sleep are forever changed. He said something to the effect of a bad night’s sleep can negate a very health paleo day. I completely agree but this stresses me out; I have an 18 month old who has had serious sleep issues and he’s done a bad number on my sleep patterns. Even when he does sleep through the night, I have been waking up consistently around 4 and have a miserable time going back to sleep. I’m taking my little one with me on my paleo journey so he’s not eating grains or sugars. Any suggestions? Are afternoon naps helpful?